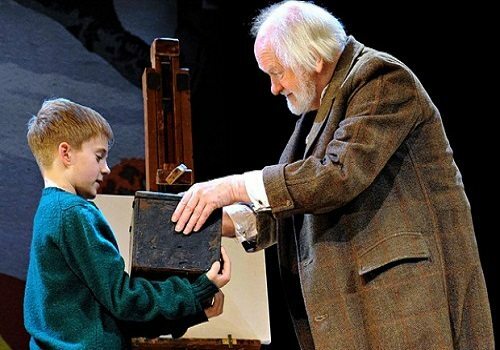 David Wood’s Olivier-award winning adaptation of Goodnight Mister Tom comes to London this Christmas for a limited run at the Duke of York’s. Following a successful run at the Phoenix Theatre, the show embarked on a national tour. Now, the beloved wartime classic returns to the West End. The tale is a literary favourite, winning the Guardian Children’s Fiction Prize and BAFTAs for the TV film, continuing to inspire audiences. In 2013, the production won an Olivier for Best Entertainment. Goodnight Mister Tom will be directed by Angus Jackson (Oppenheimer) and will star David Troughton who is well known for his appearances in the Royal Shakespeare Company. Further casting is yet to be announced. 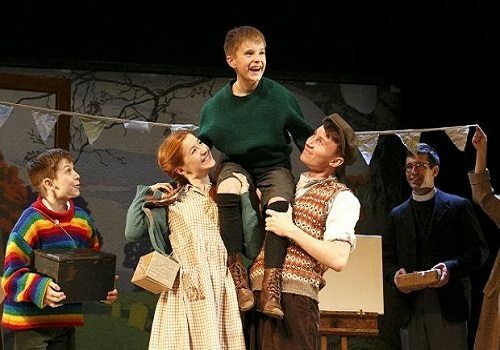 Written by Michelle Magorian and adapted for the stage by David Wood, Goodnight Mister Tom is a heart-warming tale set during the Second World War. It follows the story of William Beech, a young boy who is evacuated to the English countryside during the Blitz. He forges a remarkable friendship with the elderly recluse Tom Oakley, before being sent back to his abusive mother in London. Mister Tom is given the chance to rescue Willie, but must first face his fears and brave the outside world. Goodnight Mister Tom features design by Robert Innes Hopkins, lighting design by Tim Mitchell and sound design by Gregory Clarke. The production will also use puppetry with direction from Toby Olié and choreography by Lizzi Gee. Additional cast members include Clark Devlin, Elisa de Grey, Guy Lewis, Simon Markey, Abigail Matthews, Jane Milligan, Martha Seignior, James Staddon, Melle Stewart, Georgina Sutton and Hollie Taylor. An uplifting tale about bringing generations together, the production will run at the Duke of York’s throughout Christmas from December 11thDecember to February 21st. 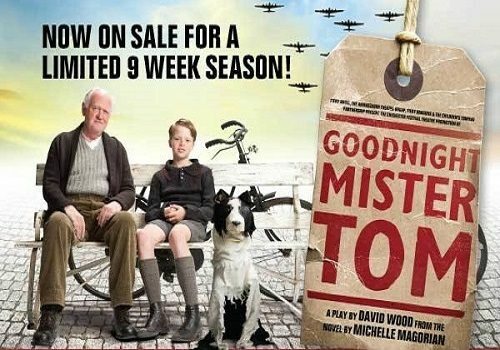 Goodnight Mister Tom is suitable for children as it is an uplifting tale about bringing generations together.